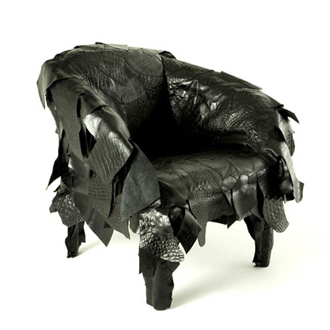 A 90-year-old Irish armchair has sold for €22million despite the fact that it is too small to sit in!! The chair, which was designed by Ireland’s Eileen Gray, was snapped up by a Parisian Art Gallery at the Yves Saint Laurent art collection sale. The Art Deco chair is so tiny and fragile that, unless you want to over €22million, it should not be sat in. VeryHappyPig wonders what the chair was made for, if you can’t sit in it! !